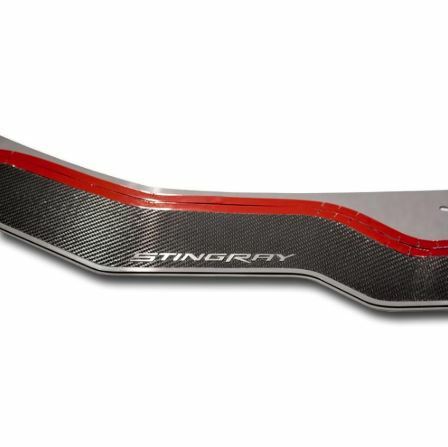 Add more style to your corvette's front splitter with this C6 C7 Corvette Splitter Decal. This decal comes in multiple colors and the color stays vibrant for many years. The vinyl is made to be UV stable, have superior adhesion, and it's easy to install because of its peel and stick application. At purchase, you can choose which script you want from the multiple choices we have. You can also choose from multiple vinyl colors. Please use the drop-down menus above for your vinyl color and script selections.